Done with water color pencils! 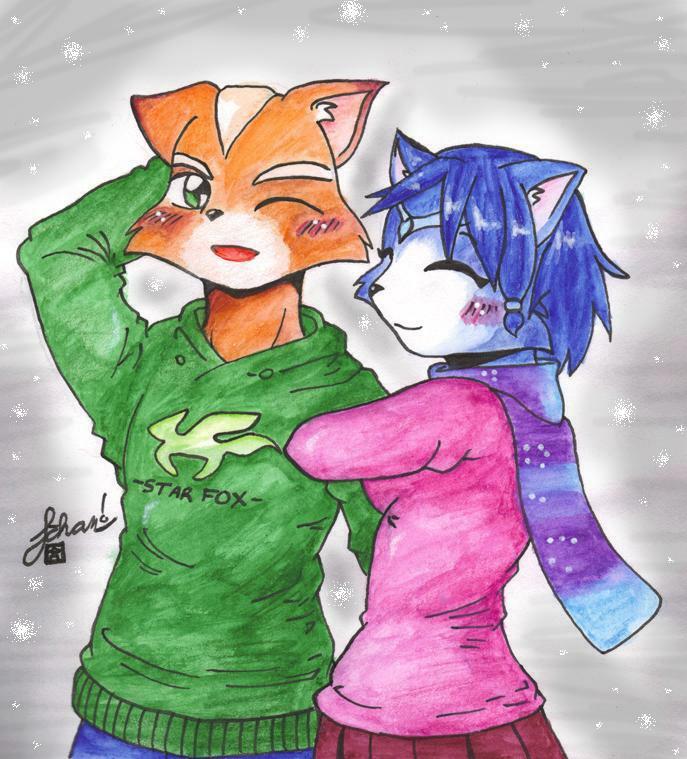 another great Fox and Krystal pic. Good thing Fox seems happier to have Krystal around. Kawaii and prettily colored!!! Awesome job!